Once there was a Blanket Bear who was hand crafted from a vintage NZ Wool Blanket. 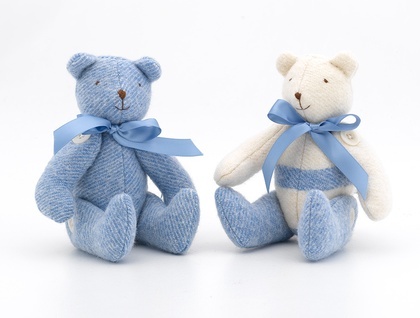 Vintage Blanket Bears are handmade to my own design from vintage NZ wool blankets that I have hand felted. Each Bear has a hand stitched face , and is fully jointed so he can sit, or stand ( with assistance) , can wave and move their arms. 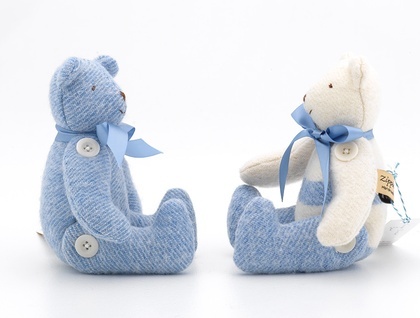 Blanket Bears love to play or are just as happy sitting in a quiet spot. Bears are stuffed with new polyfill. Big bears are also availble, lease check my other listings for Big bears. This Listing is for one Bear of your choice, Please note I usually have a good stock of Bears in a wide range of colours so let me know when you purchase if you would like a boy / girl / or unisex Bear, and if you have a specific bear in mind please message me to check he is available. 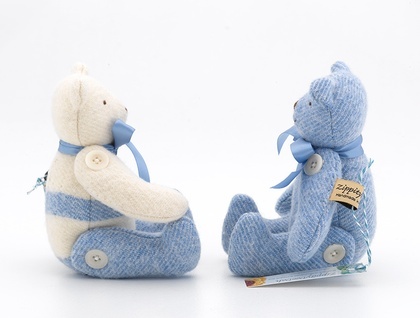 I can also send you additional photos of other Bear colours that are currently in stock. Tiki teddies are available in other sizes and each has its own unique moko.